Flow measurement, along with measuring temperature and pressure, are critical for optimal operation in gas and steam turbines. If these parameters do not stay within appropriate ranges, a power plant will suffer from issues with safety, performance, and efficiency. WIKA USA has the ability to provide instrumentation to monitor barometric pressure, temperature and flow of exhaust gas, and much more. In power plants, safe operations and efficiency are directly linked to business sustainability, financial performance, and long-term feasibility. That’s why flow measurement, temperature measurement, and pressure measurement are so important. Turbines work best when these three parameters are maintained within certain ranges – some of which are quite narrow. Temperature is a determining factor in turbine safety and efficiency. Increases in the turbine inlet improve the engine’s efficiency: the turbine can produce the same amount of power with less fuel, or produce more power with the same amount of fuel. Components, however, face very demanding temperature conditions, in particular at the high pressure compressor exit and at the high pressure turbine inlet. If temperatures get too hot, chances of compressor blade failure and serious component damage increase dramatically. Another important element is flow nozzle measurement. Measurements at the flow nozzle are critical because readings are plugged directly into efficiency calculations in the turbine’s control system. During plant commissioning and routine operations, operators rely on flow nozzle measurements to validate performance and verify the efficiency of the turbine. Avoid metallurgical failures — Temperatures need to be maintained below the vessel’s melting point in order to avoid metallurgical failure. Too-high temperatures can also lead to creep deformation in the rotating blades. Determine efficiency and performance — Performance engineers can calculate the efficiency of a compressor or turbine if they know the inlet and exit temperatures, as well as the flow rate at the nozzle. 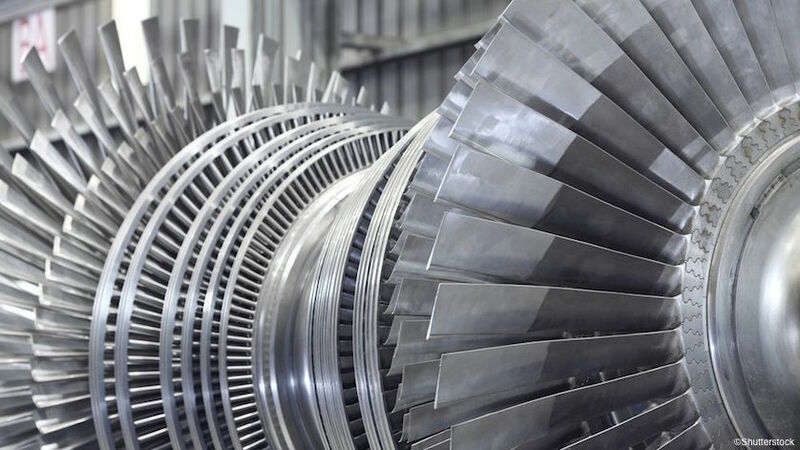 When a gas turbine exhaust is used as heat input to a steam cycle, engineers can also estimate the performance of the heat recovery steam generator (HRSG) by using the temperature and flow measurement of the gas turbine exhaust. Detect inefficiencies — High exhaust temperatures and flow changes can be symptoms of a compressor or turbine that is not operating as it should. If a flow measurement device picks up irregularities, the plant operator can perform a diagnostic to identify the underlying causes. Calculate residual life — By tracking temperatures over time, engineers can see the temperature history of a component, such as a furnace tube. This history allows them to calculate how much life the component has left and to plan maintenance and replacements. WIKA USA’s lines of pressure, temperature, and flow measurement instrumentation are robust and reliable – providing years of accurate information to keep your turbines running safety, smoothly and efficiently. WIKA’s Venturi and flow nozzlesare optimal for steam flow measurement. WIKA’s flow nozzles are manufactured per ASME Performance Test Code (ASME PTC-6) and are specially calibrated to meet critical engineering requirements.For temperature measurements, WIKA offers thermocouplesin a variety of materials, bimetal thermometers such as Model TI.50, and “hockey puck” digital temperature transmitters like Model T32.xS. Many of WIKA’s pressure transmitters, including models A-10, S-20, and 2xx.34 XSEL, are particularly well suited for power plant applications. WIKA manufactures not only standard measurement instrumentation, but also custom solutions for a client’s particular needs and conditions. Our engineers can replicate what devices are currently in use and create a high-quality replacement. Contact WIKA today to see how you could improve performance monitoring of your gas or steam turbines. I am a Senior Market Segment Manager with WIKA USA after working in varied & diverse roles in Application Engineering, Product & Sales Management all within heavy industry market segment and focused on energy-centric businesses (fossil, nuclear & renewables). My education is from Arizona State University and the University of Bombay and I hold an MBA and a B.Eng. (Instrumentation). I live in Washington DC Metro area with my family, and in my spare time I experiment with Indian cuisine to suit American palate.